Need A Phone While in China? 2GB of 4G speed data - lasts for 30 days from the date you specify! *PLUS the price of (1) recharge voucher for initial talk credit ($29.00). This credit is necessary for your service to work - it will be in your cart when you check out. This gives you 250 international or domestic minutes. There are several reasons that you would want to rent a phone for your trip to China as opposed to roaming with your Verizon, AT&T, Sprint, T-Mobile (or other carrier's) service, including, to eliminate the possibility of security breach and to get the best service at the lowest prices. Our rental services uses China Unicom, a Chinese telecom operator with coverage throughout China. Since you are not roaming, you are guaranteed the most extensive coverage, the fastest data connectivity and the lowest call and data rates available. In sum, the best possible cellular service at the best possible rates. Since 2002, Cellular Abroad has offered cellular service to the traveler to thousands of travelers to China thanks to our unbeatable value. 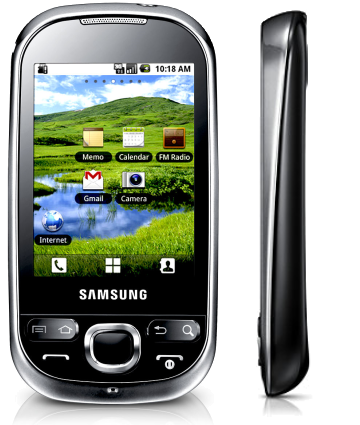 We offer several cell phone rental options. We recommend using the operating system that you are familiar with. If you use Android back home, you should rent and Android phone. If your phone of choice is an Apple product, you should rent one of the Apple phones. Please click on the image of the phone you would like to use, then enter the departure/return dates to view the prices for your phone rental. All rentals include a Chinese cell phone number (with the option of adding on a US phone number) and 250 minutes of calling within China or 125 to the US or a combination of the two. Incoming calls from anywhere are always free. You can order more outbound minutes together with your rental or during your trip. All smartphone rentals also include 1GB of LTE/4G data with the option of adding more during check out or during the trip. The service is on China Unicom, China's fastest and most extensive LTE provider. Your rental comes with a Chinese cell phone number. You have the option of adding a US phone number to your rental as well. Having a US number makes it affordable for callers from the US to call you. You can also forward your current phone number to the new US number so you do not miss a call. Travelers traveling for leisure tend not to forward their current number while business travelers tend to do so. The choice is up to you. Most cell phones simply have a call forward setting that you can switch on and off. Using translation apps, location apps, researching restaurants, and sharing your through apps such as Instagram and Facebook a great way to use your phone not just as a phone but as a travel tool (please note that you do need to rent a smartphone in order to use any app). Apps such as WeChat (the Chinese version of WhatsApp and iMessage allow you to talk for hours virtually for free. Some apps, including Instagram, Facebook, Skype, WhatsApp and Viber are blocked in China and will require you to use a VPN. You can read more about this subject by reading this article on the best VPNs for China. Many places in China offer free WiFi. You are often required to enter a verification code that is sent to your Chinese cell phone number. Therefore, if you are trying to access WiFi and are asked for your cell phone number, please enter your Chinese cell phone number and not the US one - assuming you have opted for the US number add-on. You will receive a fully charged Rental Phone, complete with the call credit that you ordered, a local Shanghai and US phone number (if ordered) a convenient travel pouch and international chargers and plug adapters and simple instructions. If you have any questions, please call us or email us. Your Phone Rental is ready to go. When you arrive at your overseas destination, simply turn it on and wait for your phone to display the China Mobile network. Once you have a network you are ready to make and receive calls. I purchased this sim card when my daughter traveled to China and Hong Kong. The card was placed in an old unlocked Motorola KRZR cell phone. The phone worked perfectly with the card. You must watch the fees when calling from Hong Kong to US as it is fairly expensive. If you call US to Hong Kong there is no charge on the sim card. I highly recommend using the card if you're traveling to Hong Kong and China. This was my 2nd business trip to China using one of these sim cards. Used it in a Samsung a737 purchased off of [@]. I used it for local calls and texts as well as calls home to the US. I've used it in Shanghai, Xi'an, Changsha and Hangzhou without any problem. It was so nice to have a phone with a working SIM card as soon as I arrived in China. I did a lot of research online before I left about the best plans. CellularAbroad definitely offered the least expensive plan and I had great coverage all over China. The instructions that Cellular Abroad provided about using the SIM card in China were not completely correct and I ended up being overcharged slightly, but I contacted the company via email while I was in China and they were very helpful and prompt in getting the problem fixed; I was reimbursed without any issues. It was great to have support service in English. I would definitely recommend using Cellular Abroad for purchasing a SIM card. Great product to use in china and hong kong. The rates for international dialing are cheaper than the local sim cards available here. In addition, the fill up cards are very easy to find. Cellular Abroad has good customer service. They answer emails within 24 hours and it's easy to contact them via phone. This is my second China SIM card purchase from them. The provider is China Mobile and has the most coverage in the country. Instructions have an incorrect phone number for activation. Once this was solved, easy to setup and worked in all part of China without an issue. Along with your rental you are purchasing an initial $29 credit voucher which will start you off with 125 minutes of calls to the US or 250 minutes of calls locally within China. If you are renting a smartphone, this voucher will also give you 1GB if data. Additional call and/or data credit can be purchased from Cellular Abroad during check out or during the trip. $29 for initial talk-time voucher (1 per phone). Yes, you will receive an international charger and relevant plug adapters, so you can charge the phone in the U.S. and at your destination. Can I retrieve my voice messages in China? if they call the Chinese number, then that depends on the international long distance rates charged by their carrier. If you have opted for the US number, they will be paying the rates to call to a US number, which is typically nothing.